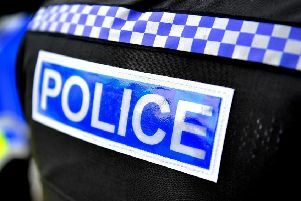 Proposed in December the capital and revenue plan will increase the police force's share of the council tax. The Police and Crime Commissioner for Thames Valley, Anthony Stansfeld has approved the capital and revenue plans presented to him by Chief Constable Francis Habgood in December which will see council tax bills rise by between £1.33 and £4 per month. Mr Stansfeld said: “The 2019/20 funding settlement has allowed us to avoid a reduction in resource and I am pleased to be able to agree a budget which enables Thames Valley Police to invest in operational policing to help protect our communities. “Before I made a decision on the level of Council Tax, I sought views of the residents of the Thames Valley. Of the 8,031 people who completed the survey, 69.7 per cent agreed to an increase to fund policing. I am therefore proposing an increase in the police portion of the Council Tax in 2019/20 of £24 for the equivalent of a Band D property. • Increase digital capability by exploiting the modern platforms TVP have been investing in. Francis Habgood Chief Constable of Thames Valley Police said: “Firstly I would like to thank the public for showing their support for policing. Without this additional investment we would have faced further cuts and it would have seriously damaged our ability to provide the policing services that we want to and our communities expect. A = £121.52 to £137.52 an increase of £1.33. B = £141.77 to £160.44 an increase of £1.56. C = £162.03 to £183.36 an increase of £1.78. D = £182.28 to £206.28 an increase of £2.00. E = £222.79 to £252.12 an increase of £2.44. F = £263.29 to £297.96 an increase of £2.89. G = £303.80 to £343.80 an increase of £3.33. H = £364.56 to £412.56 an increase of £4.00.